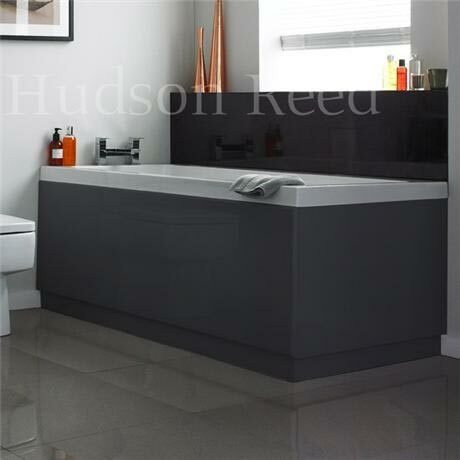 Keep your cool with the modernist grey high gloss finish of the bath panels from Hudson Reed. The finish is extremely hard wearing and easy to maintain and incorporates an environmentally friendly polymer coating, with colour matched edging strips for a flawless look to the exterior. Even the back of the boards are covered in washable melamine making them easy to clean. The rich colour will not fade over time and is water resistant – making it ideal for use in the bathroom.